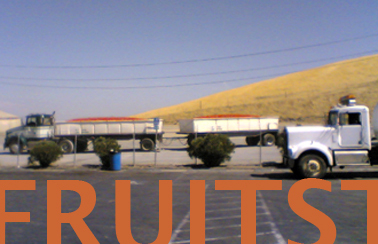 We stopped between LA and San Jose for cherries, plums, and apricots from a fruit stand. Later, we found an Indian restaurant near eBay headquarters that called itself the “confluence of Silicon Valley professionals”: the palaak paneer was especially good. The panels yesterday were mostly technical, and I learned about add-ons and plug-ins, the “10 types of web-writing,” how to build your audience, the history of Flickr and Blogger. There are 750 women bloggers here, and we are being courted with test drives in hybrids, calcium-infused water, Starbucks coffee, and introductions to everything and everyone. Today is the more cultural side of blogging, and I am looking forward to panels on edu-blogging, political blogging, identity and obligations, and the afore-mentioned panel on art blogging.